To view and change settings for your connection from Practice Ignition to Xero, go to "Apps" on the left hand menu and click on "Xero". Click "Accounts and invoice terms" to view the available settings. 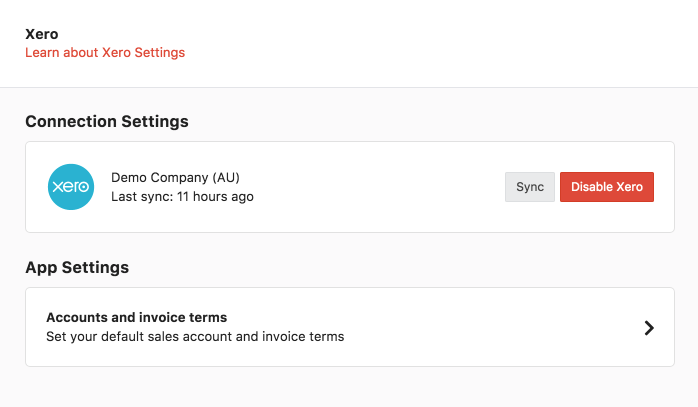 Choose which sales account you would like your accounts to link to by default, this can be later customized within each service item you create. This is the state that your invoices will be in once generated from Practice Ignition. Please note that if you have payments or client notifications enabled, then the invoice will automatically be generated in the 'Awaiting Payment' state, regardless of what your initial invoice state is. 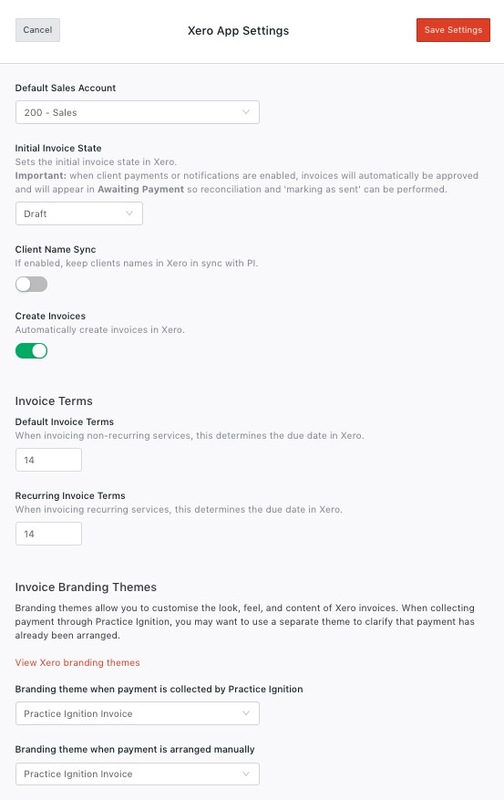 If client name sync is on, then when new invoices are created in Xero by Practice Ignition, the contact name in Xero will be updated to match Practice Ignition. If you haven't already enabled payments, here's how to turn on Payments. This branding theme will be used for any invoice where payment is being collected through Practice Ignition. This branding theme will be used for any invoice where payment is being arranged manually, outside of Practice Ignition.